Southern Africa is the cheetah’s regional stronghold with an estimated population of 4,500 adults, constituting half of the world’s cheetah population. 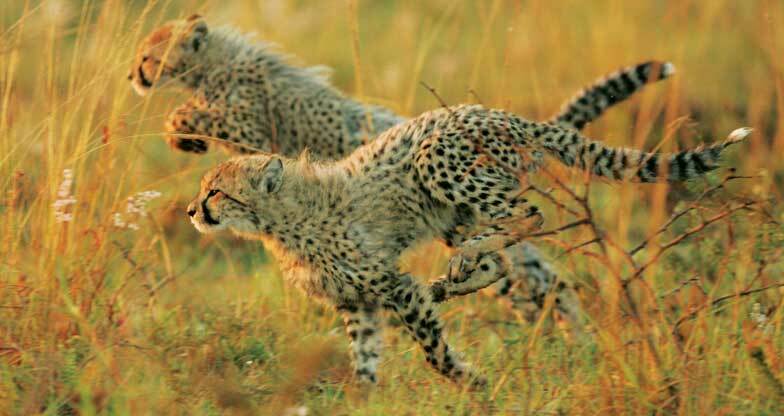 In South Africa, cheetahs have lost 90% of their historic range to human development and today only occur naturally in the Kruger National Park, Kgalagadi Transfrontier Park and along South Africa’s northern borders with Zimbabwe and Botswana. Trade: cheetahs are often taken from the wild for captive keeping. Captive breeding and keeping of cheetahs is not required as a conservation action. 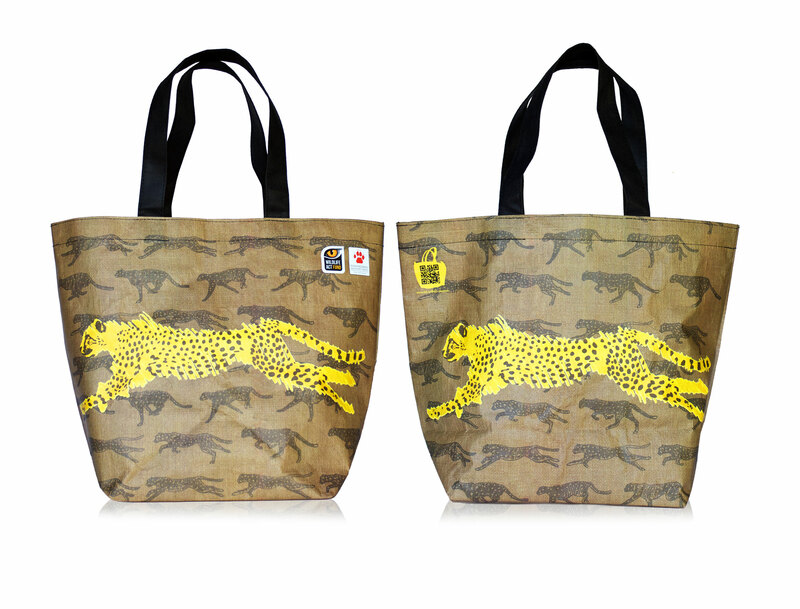 In 2012, through sales of the first ‘Cheetah Bag’, Woolworths customers helped fund the research this project required, undertaken in KZN Province’s Hluhluwe-iMfolozi Park, home to one of the largest and longest standing cheetah populations in South Africa. The cheetah population in fenced reserves has increased from 274 in 2012 to 324 in 2015. The 51 reserves that are home to this population are located in all nine provinces of South Africa and are managed by the EWT in several clusters: the Kalahari, Lowveld, Waterberg, Eastern Cape and Zululand. 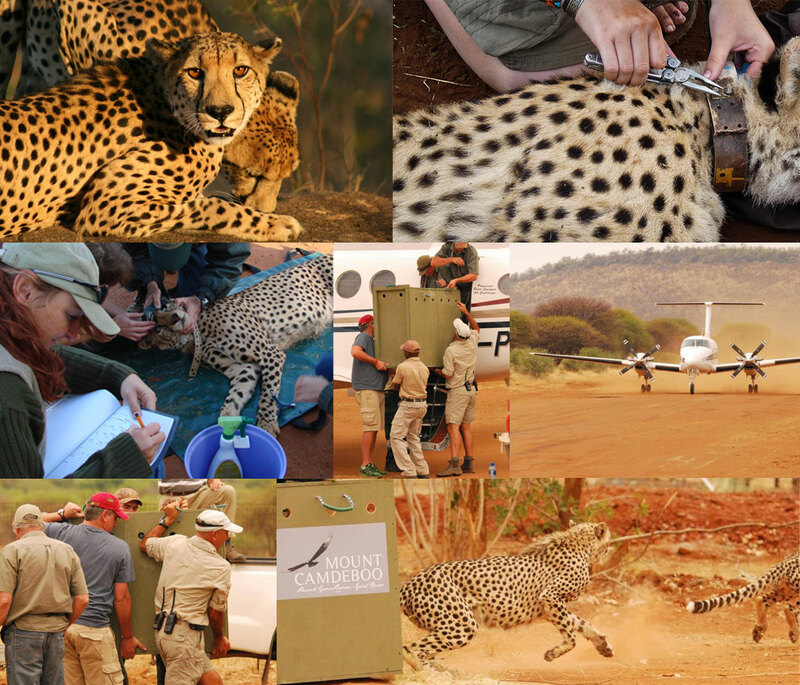 Since the EWT began coordinating this project four years ago, cheetahs have been reintroduced into a further eight reserves. Since the project’s inception 4 years ago this data, along with data gathered from Ezemvelo KZN Wildlife and other research projects the project must now be escalated to build on its successes to date. When and where will the project’s next steps take place? The rollout of the next phase of the project has already begun. WLA’s work with the cheetah population in KwaZulu-Natal will be extended to support EWT’s further re-introduction and management of cheetah elsewhere in South Africa. Through comprehensive monitoring and research into cheetah populations on these reserves, WLA is able to determine accurate population density, survival rates and demographics, assess genetic diversity, habitat usage, prey selection and competition from other carnivores. 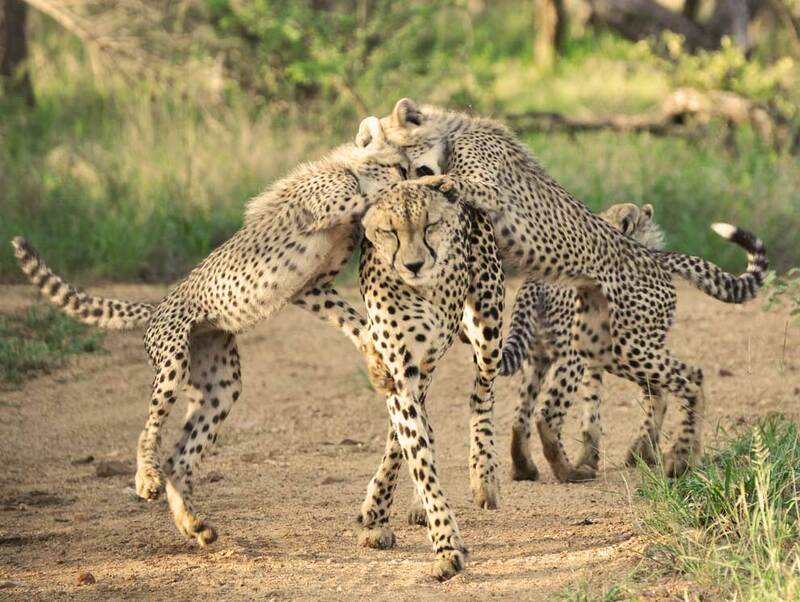 This data ultimately informs the correct management and conservation practices for survival of the species and also allows the EWT to identify suitable land and cheetahs when re-introducing animals to new reserves. Cheetah can be very cryptic and their movements difficult to capture on camera. 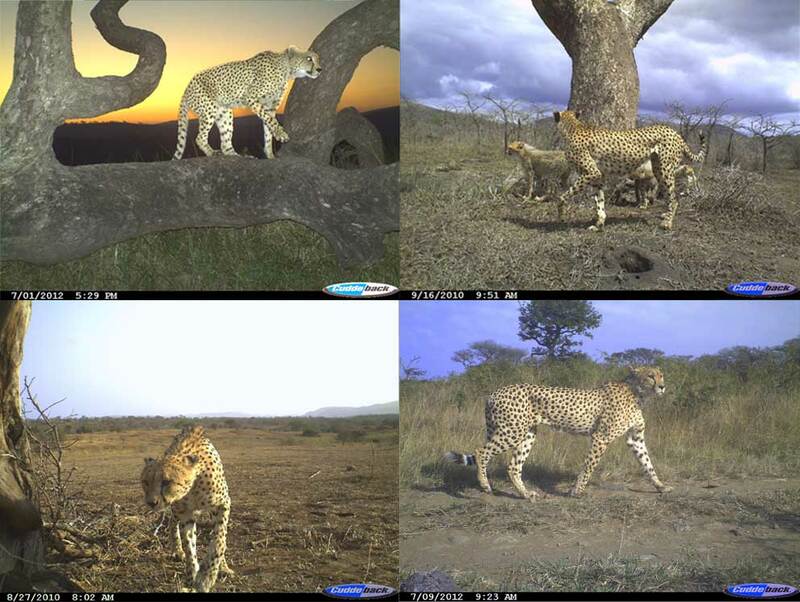 WLA identifies trees ‘scent marked’ by individual cheetah and then set up remote camera traps near these trees. Photographs capturing cheetah help identify individuals, record their range and patterns of movement and also help determine population numbers. To further understand ranging patterns, survival rates and feeding behavior, specific animals in the population are fitted with collars that enable accurate tracking. This sheds light on what prey they are selecting and to perhaps catch glimpses of social interactions. The collars’ accurate recording of locations via GPS draws an accurate picture of how cheetah use available habitat. Collars also help in calculations to determine population numbers. 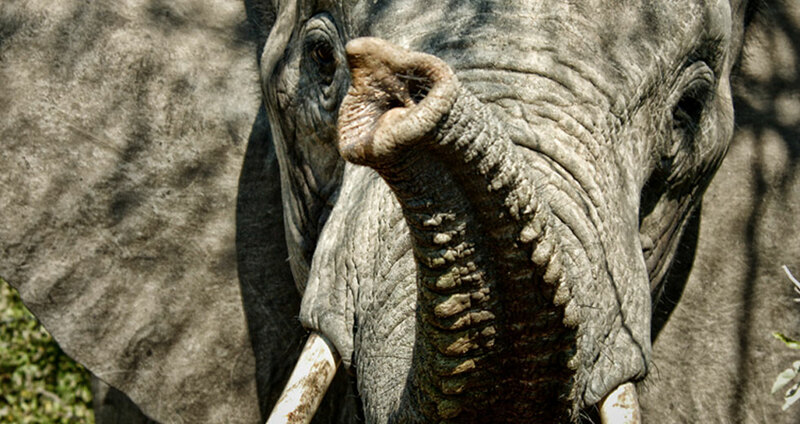 What is The Endangered Wildlife Trust? The Endangered Wildlife Trust is dedicated to conserving threatened species and ecosystems in southern Africa to the benefit of all. The EWT fills the key niche of conservation action, through applied fieldwork, research and direct engagement with stakeholders. With specialist programs and a large team of skilled field staff deployed throughout southern Africa, the EWT works on identifying key factors threatening biodiversity. Through a broad spectrum of partnerships and networks, the EWT responds to the key threats driving species and ecosystem loss, by developing innovative methodologies and best practice guidelines to support reduced impact, harmonious co-existence and sustainable living for all. • All owners and managers of the 51 reserves who have cheetahs, including private reserves and Provincial and National Parks. What is Wildlife ACT Fund? • Private landowners in KZN. • Animal Trackem radio tracking suppliers. How can I get involved in supporting the project? 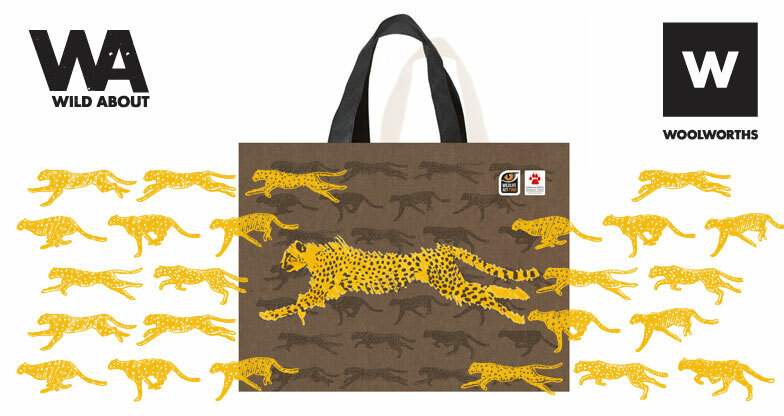 By purchasing Woolworths ‘Wild about Cheetahs’ bag, you have already recognised the need to support cheetah conservation. 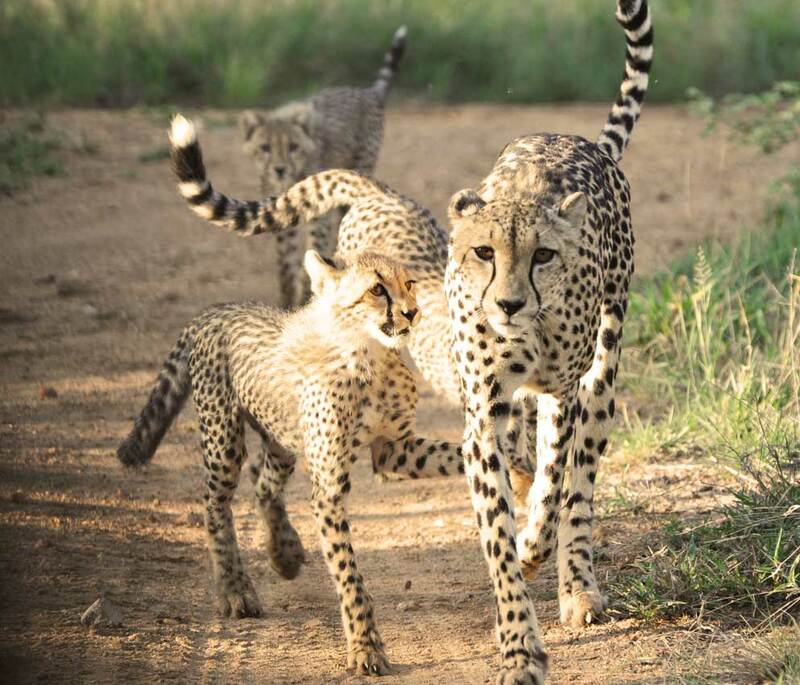 By carrying your bag, you will be playing a vital role in spreading the word to help create awareness round the importance of cheetah conservation in South Africa.